Sounds Dangerous could also be called Sit in Complete Darkness. That’s what you do during most of this 12-minute show starring actor-comedian Drew Carey. Ready to go undercover with a television detective? 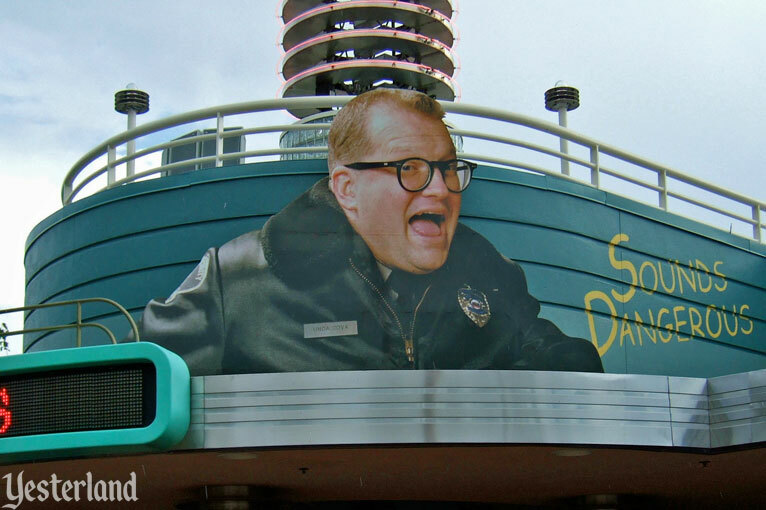 Check out what happens when Drew Carey takes to the small screen as an actor playing a gumshoe who bungles his first on-camera case. When the hidden camera in his tie gets damaged, the video disappears and the theater is plunged into total darkness—leaving you to listen in as the hilarious mystery unfolds. Here’s the premise: You’ll be in the audience for the pilot of a live reality show called Undercover Live. Undercover police detective Charlie Foster (played by Drew Carey) will wear a state-of-the-art spycam and “super-sensitive microphones.” You’ll experience exactly what the detective experiences. While waiting to enter the theater, try to answer the trivia questions on the video monitors. If you want to do well, make sure you’re knowledgeable about minor characters from The Drew Carey Show on ABC television. The theater will be dark. Very dark. Not quite as dark as Carlsbad Caverns with the lights turned off. But darn dark. 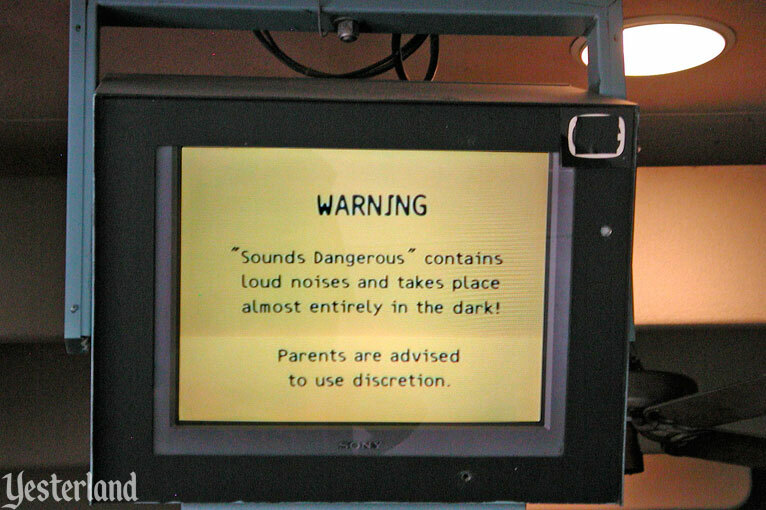 The loud noises might include young children crying because it’s so dark. Take a seat. 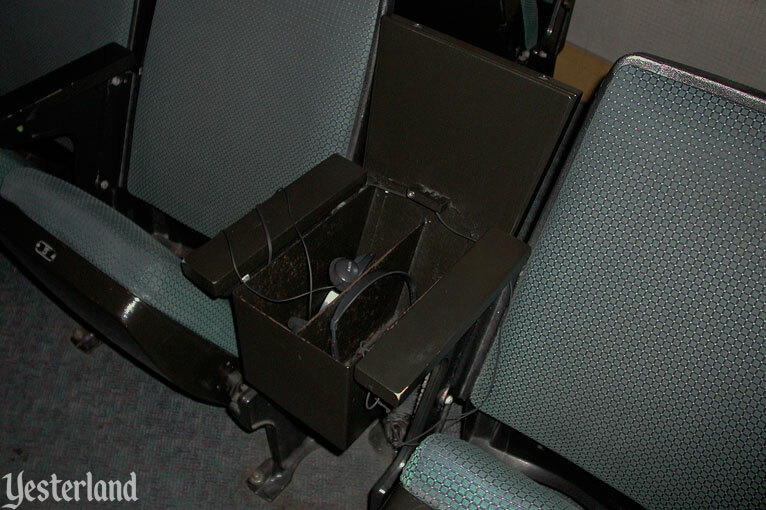 Grab headphones from a bin to your left or right. Put on the headphones... Wait! Other guests have been wearing the same headphones all day. You might at least want to wipe them off thoroughly with a tissue. The show begins with “live video” on the screen in the front of the theater. Why is Foster wearing a uniform if he’s an undercover cop? It’s because he’s disguised as a temporary security guard. That’s how he’s gaining access to a snowglobe company suspected of being a front for a smuggling operation. Someone is coming! Foster quickly hides the camera... in his mouth. State-of-the-art apparently does not include being waterproof.  The picture quickly goes black. Except for a few brief moments when the video tries to come back, the rest of the show takes place in darkness... or, more accurately, it takes place inside your head. The binaural headphones give the impression that things are happening right by your ears—including getting a haircut and having killer bees buzzing around your head. After a series of mishaps that you can hear but not see, Foster triumphs. 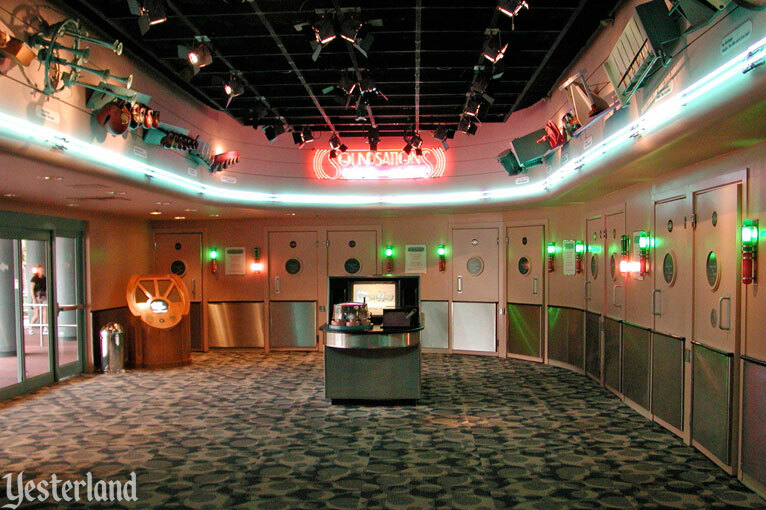 After the show, you exit from the theater into Soundworks, with its interactive kiosks and Soundstations private sound booths. Be a foley artist, adding sound effects to movie clips. And be a voice performer for classic Disney animation. The highlight of Soundworks is listening to binaural sound while sitting in complete darkness in Soundstations booths that are sized for just a few people. If that seems like more of the same after the show you just sat through—you’re right; there’s even another virtual haircut. Here’s a tip: If you just want to enjoy the offerings of Soundworks, you can do so without sitting through the whole show. There’s an entrance to Soundworks right next to the Sounds Dangerous entrance. 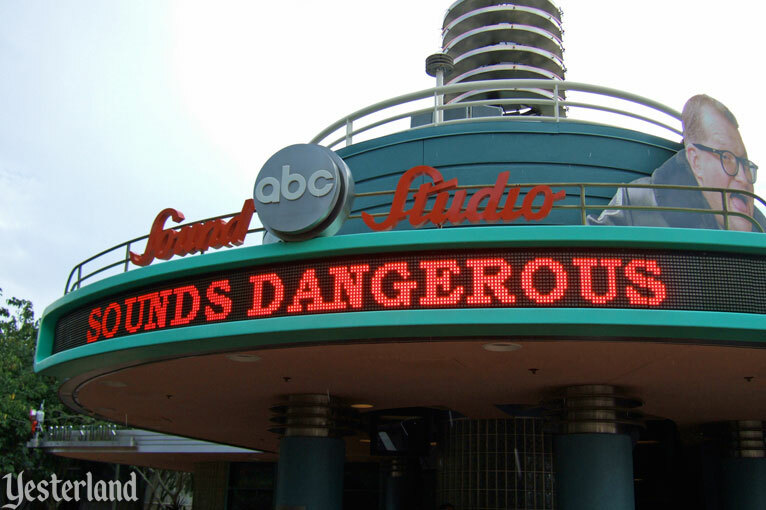 Sounds Dangerous opened at Disney-MGM Studios (now Disney’s Hollywood Studios) on April 22, 1999, in a space that had previously been home to other sound-based shows. 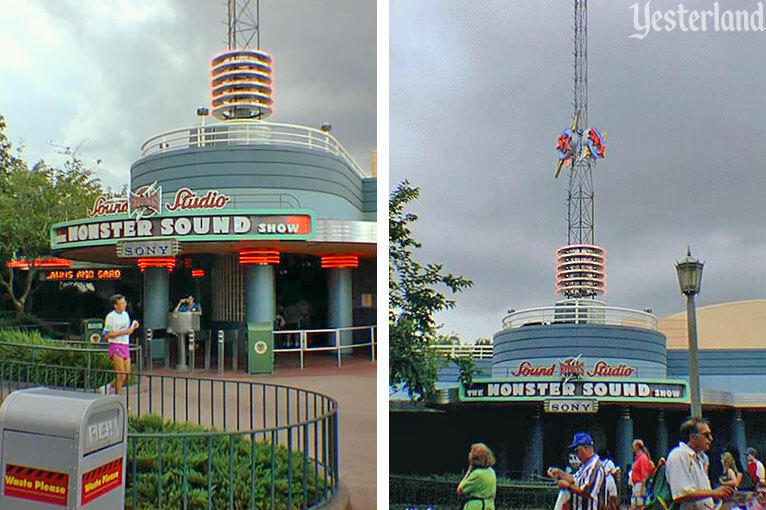 Monster Sound Show was an opening-day (May 1, 1989) attraction at Disney-MGM Studios. A short film, set at a creepy house on a stormy night, starred Chevy Chase as an insurance salesman and Martin Short as the deranged butler in the house. 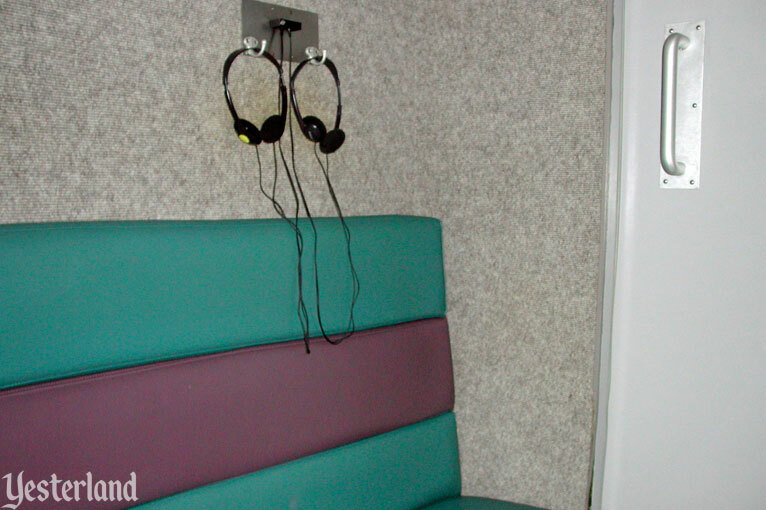 At each showing, four park guests would serve as volunteer Foley artists, redoing the sound effects for the film using various gizmos. The results were often hilarious. The pre-show featured Disney Legend Jimmy McDonald demonstrating sound effects to David Letterman. 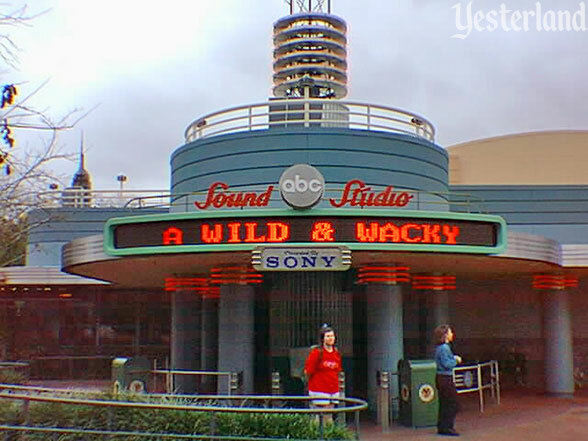 An updated version of the attraction, renamed ABC Sound Studio, operated from July 1997 to February 1999. This time, seven park guests (usually children) added sound effects to an ABC Saturday morning cartoon from One Hundred and One Dalmatians: The Series. 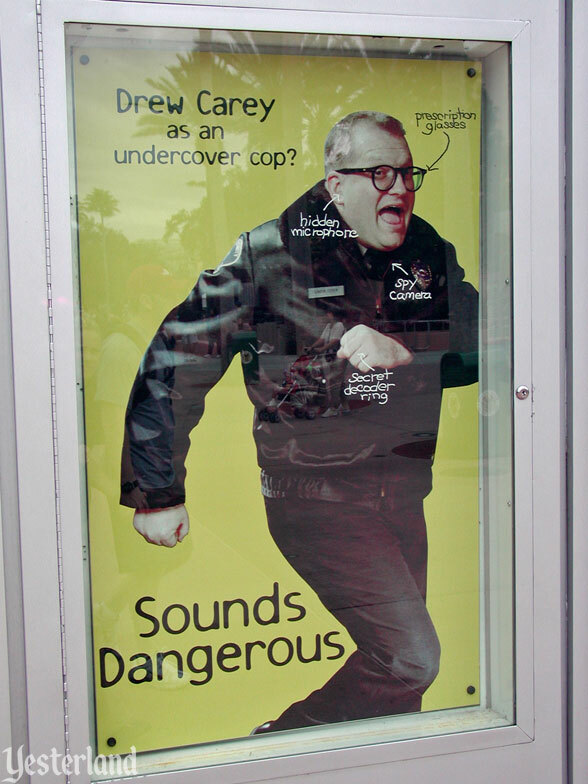 Drew Carey’s career was in high gear when Sounds Dangerous was created and when it opened. 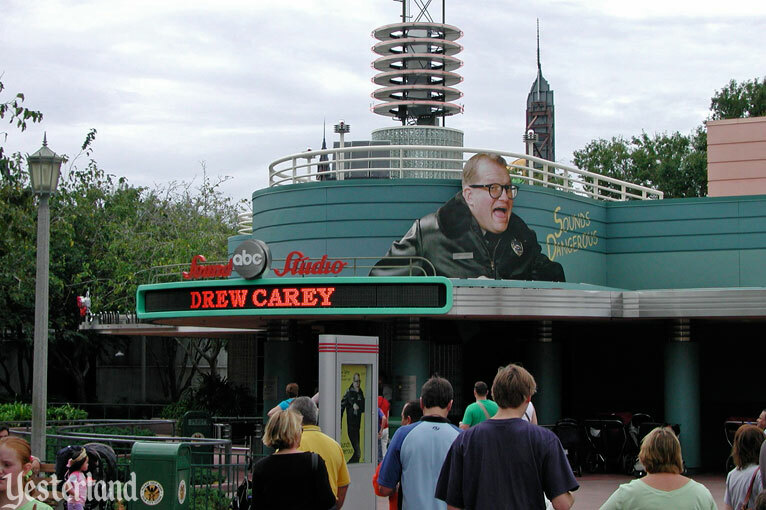 The Drew Carey Show (1995-2004) on ABC television was at the peak of its popularity—even though it was halfway through its nine-season run. Season 4 of the series was in the 14th position in the A.C. Nielsen television ratings for the 1998-1999 television season. In early 2009, almost 10 years after it opened, Sounds Dangerous became a seasonal attraction—open only during periods when park attendance was at its highest and extra guest capacity was desperately needed. 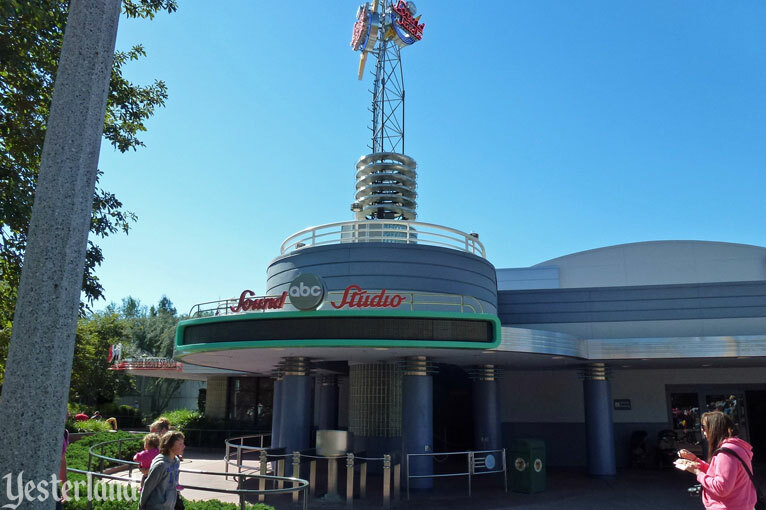 Guests visiting Disney’s Hollywood Studios during the very busy week from Christmas to New Year’s Eve 2011 might have expected to find Sounds Dangerous operating. Instead, the theater was used for Comedy Warehouse shows that week, transplanted from the once-popular club at Walt Disney World’s Pleasure Island. 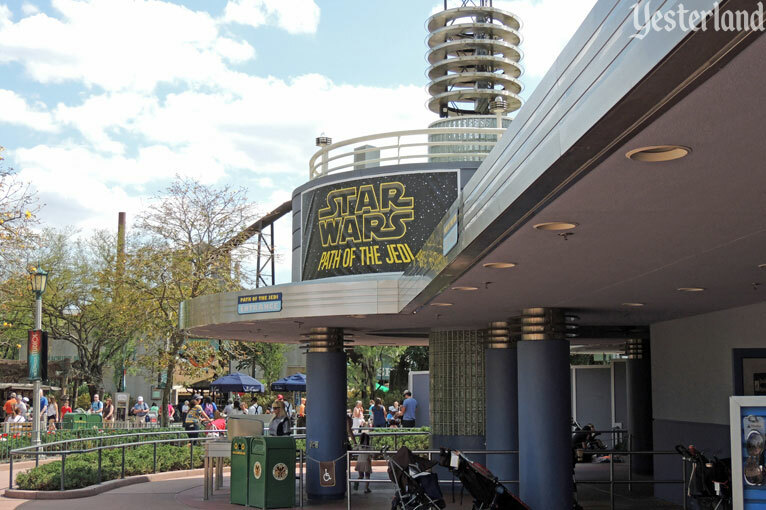 The “seasonal” Sounds Dangerous attraction disappeared from park guidemaps in spring 2012. 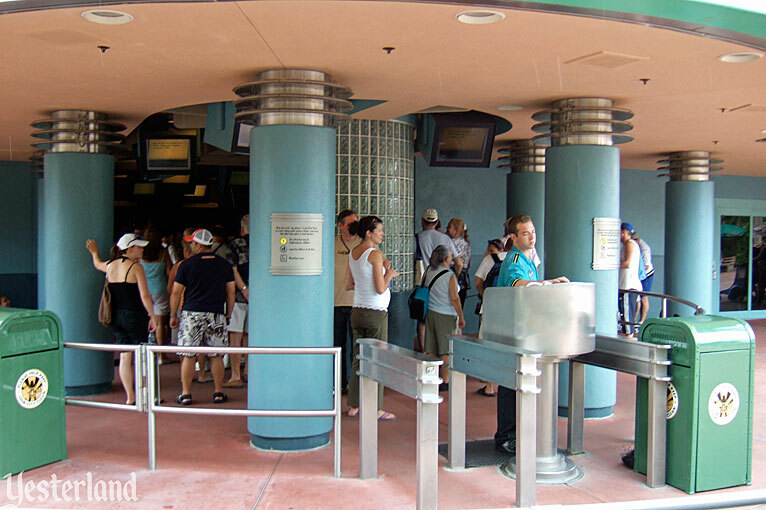 Numerous websites list the attraction’s closing date as May 18, 2012. 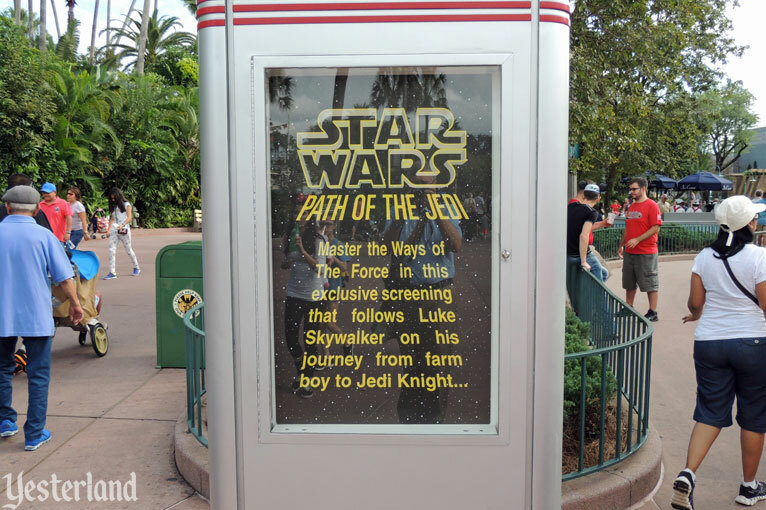 However, the attraction’s actual “last hurrah” appears to have been more than a year earlier—May 1, 2011—after operating during the installation of the new Star Tours (Star Tours – The Adventure Continues) and for the busy spring break period. Until almost the end of 2015, the ABC Sound Studio facility got limited use. 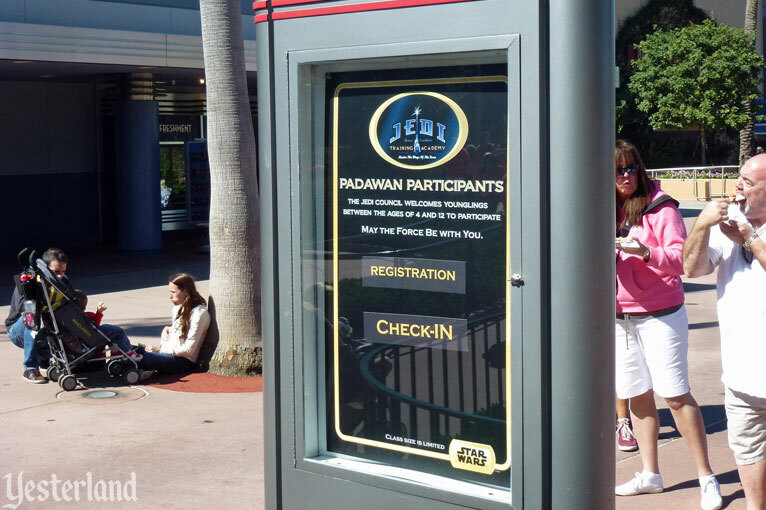 It served as the staging area (but not the performance location) for Star Wars: Jedi Training Academy, a show that trains around 15 young Padawans at a time to become junior Jedi Knights. 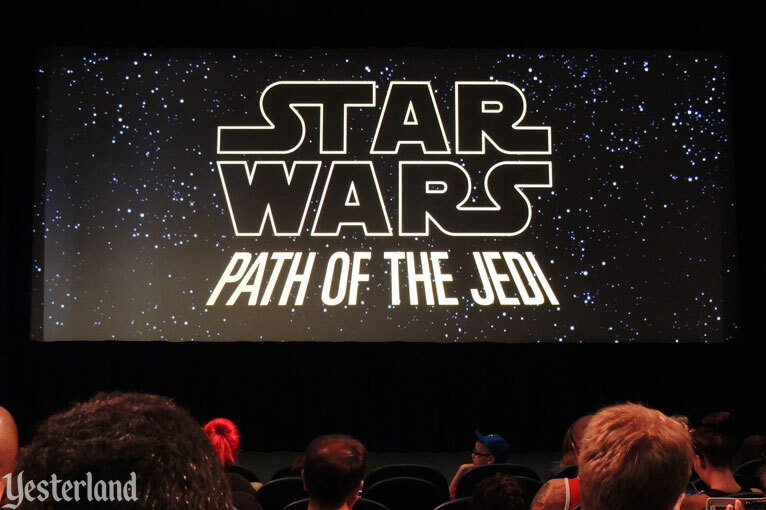 Finally, on November 16, 2015, the facility became the theater for Star Wars: Path of the Jedi, a 10-minute sizzle reel for the Star Wars movie franchise. If Disney management wants to replace Star Wars: Path of the Jedi with something really entertaining, the perfect replacement would be to bring back the original Monster Sound Show. It was a lot of fun, participatory, and never quite the same show twice.